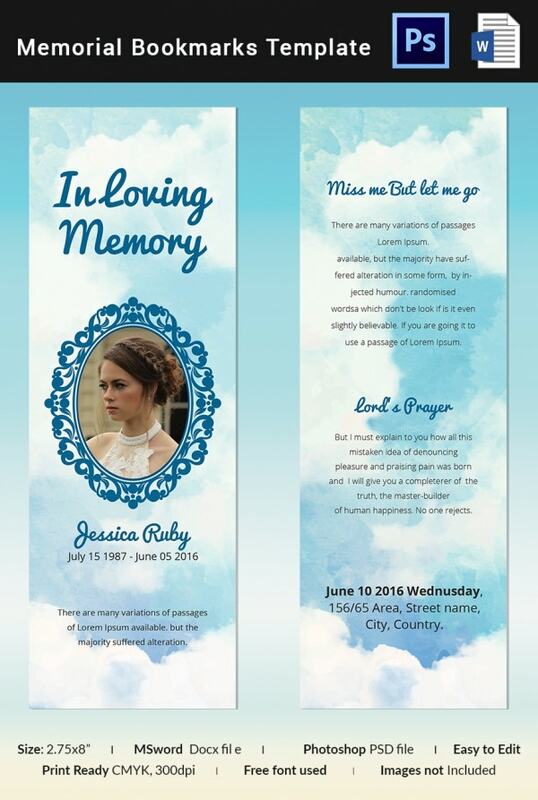 A memorial bookmark template is a high-quality model that you can use to communicate the death of a loved one to a colleague at the place of work, a schoolmate, or to anyone else who doesn’t fall in these groups. 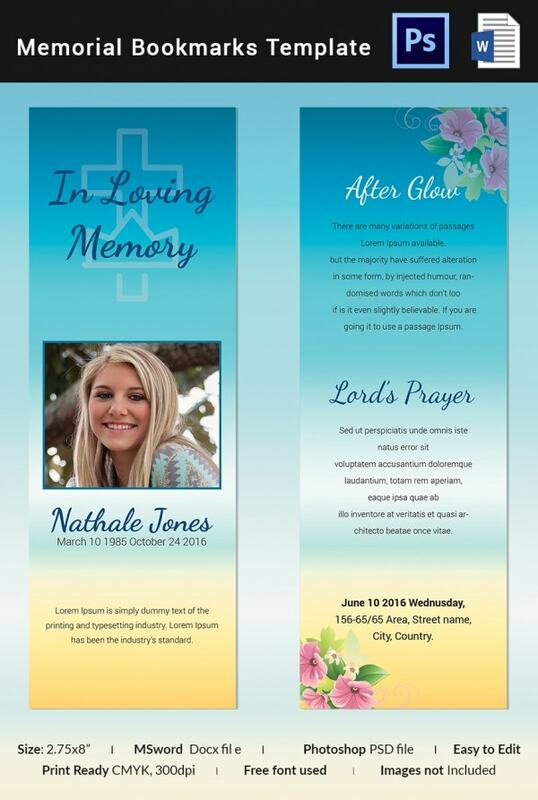 The reason for using this Funeral Program Template is to make sure that the information about the death and absentia of someone once loved reaches as many people as you would like to reach. You can edit this template in Microsoft Word or Adobe Photoshop; the content is easy to edit. Moreover, the theme features the CYMK color mode and supports bleed. 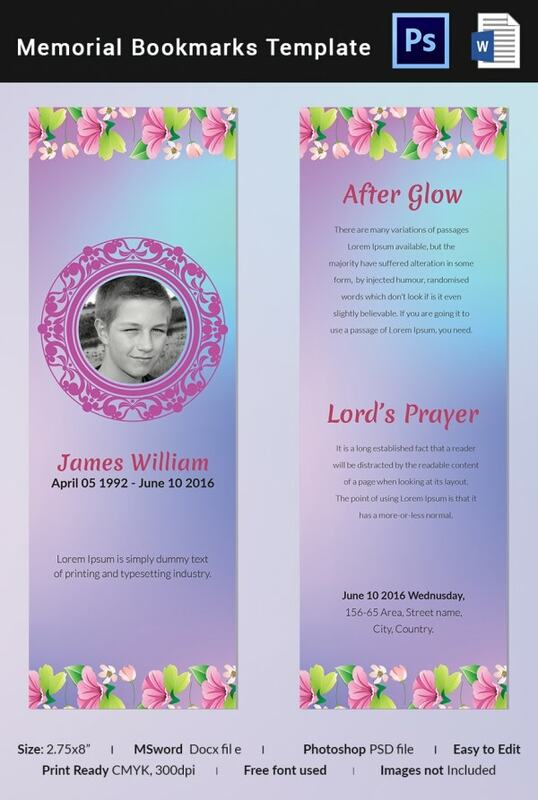 The funeral bookmark template is easy to edit. 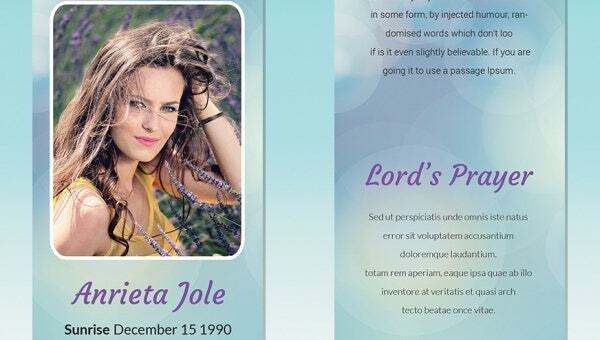 When you choose this template, you get commercial free fonts and high-quality replaceable images. Also, the template features the CYMK color mode. If you are looking for a bookmark template for a funeral that you can edit with Photoshop, this will work well for you. Moreover, the template supports bleed and is 100% editable. A memorial bookmark can help bring back the memories of those you once cherished, the ones who have left you too soon. You can use this premium template to prepare your bookmark and it is 100% editable. The bookmark is a small piece of paper for writing a summary about your loved one who has left too soon. You can replace the text on the template with whatever notes you want. > Who Should Use Memorial Bookmark Templates? A memorial bookmark is a special piece of paper that often has a little to say about the dead. 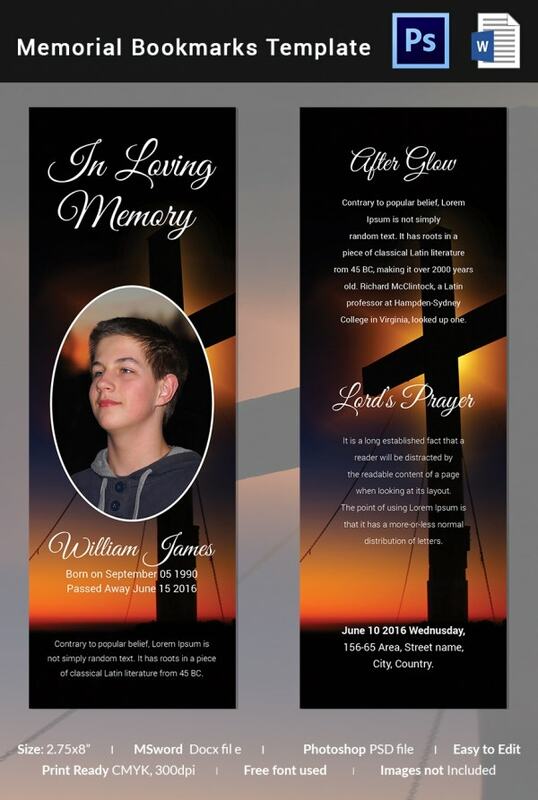 Anyone can use a memorial bookmark template as long as he or she is mourning the death of someone who was either a part of their family or just a friend they have known for a long time. 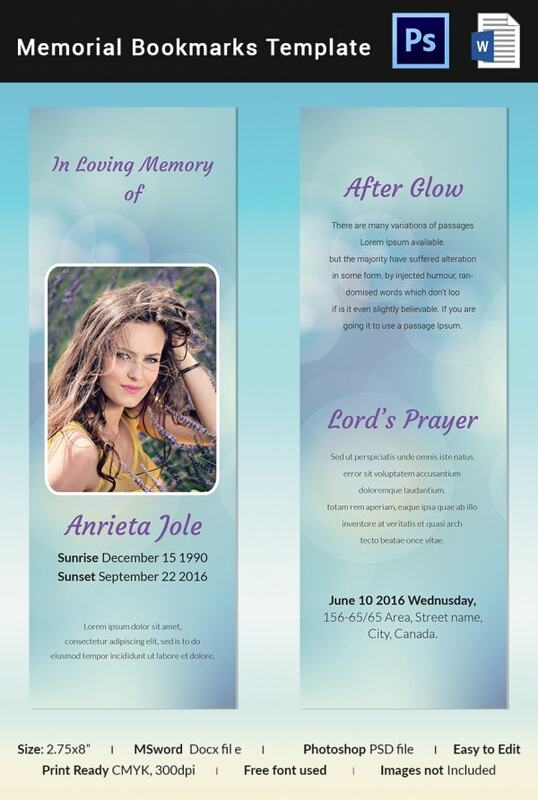 Though in many cases, a template like this is often for people whose closest relatives have passed away. Think of a memorial bookmark as a small piece of paper where you write only what’s important. It is different from an obituary. The template is almost always precise. It could be a general summary of a life well lived, a favorite Bible verse of the departed, or the expression of the great feelings of the living towards the dead. Whatever be the information, it must always be simple, precise, and focused. It is important to understand that bookmarks are good because they account for the general interests of people, which means they have information that anyone would regard as important. There are many mediums through which one can communicate the death of a loved one. However, using a death notice template is always the cheapest means to do so. It is important to keep in mind that anyone can and should send a death notice as soon as they learn about the death of an individual who is close to them.